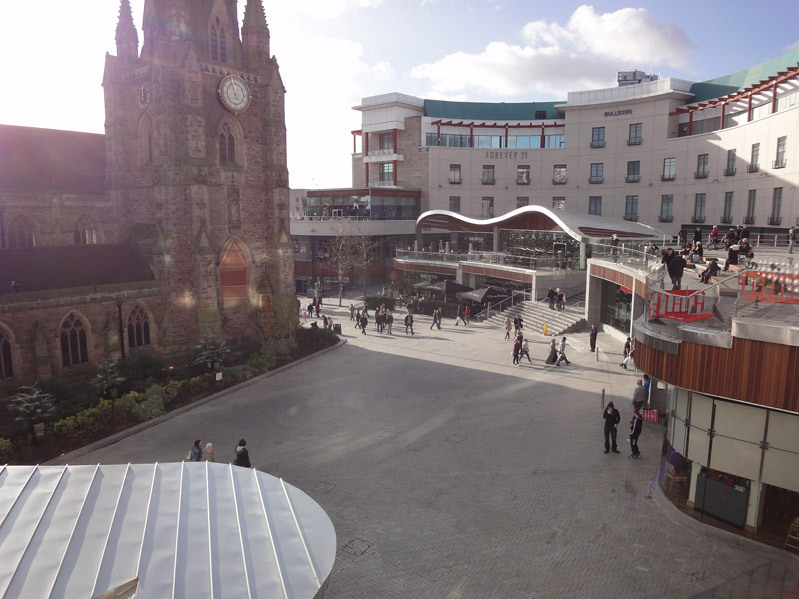 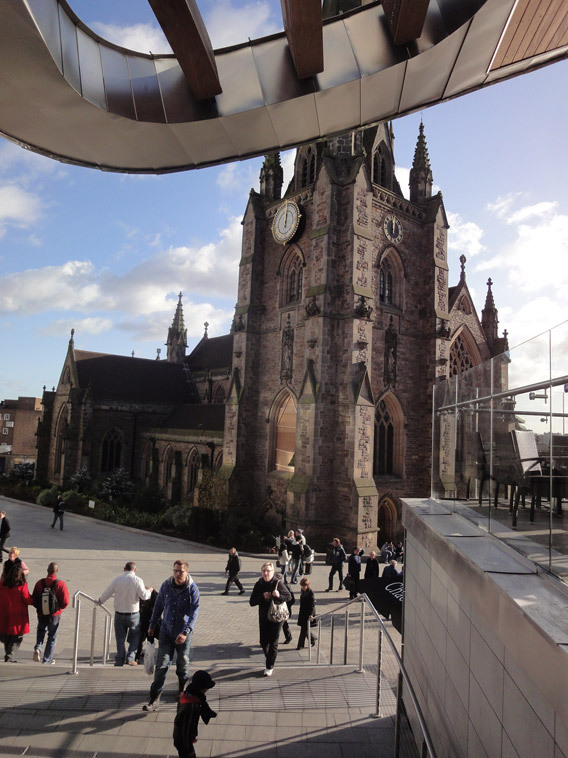 After just under a year of a rapid construction since plans were first submitted for Spiceal Street in October 2010, Adding Spice(al) to the Bullring, the new development officially launched on Thursday 24. 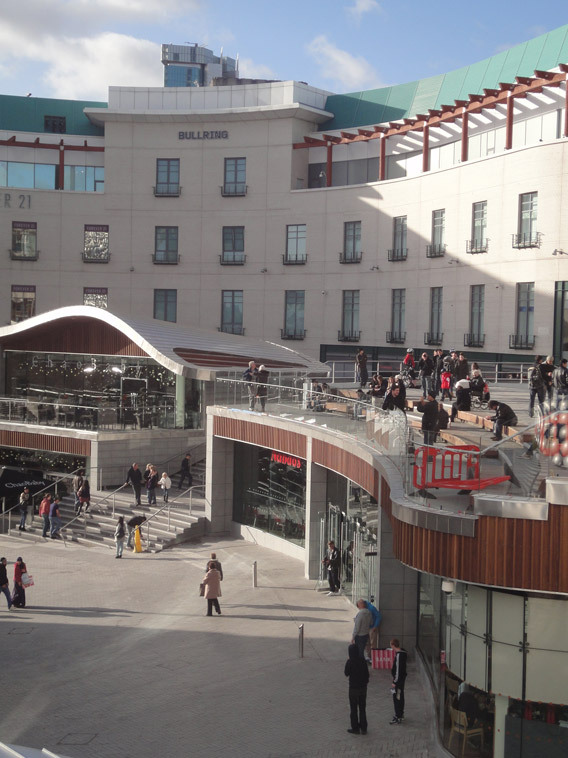 The £7.5 million 20,000 ft² development saw Brindleyplace based Handmade Burger Co launch it's flagship UK restaurant together with new restaurants ChaoBaby and Browns Bar and Brasserie open. 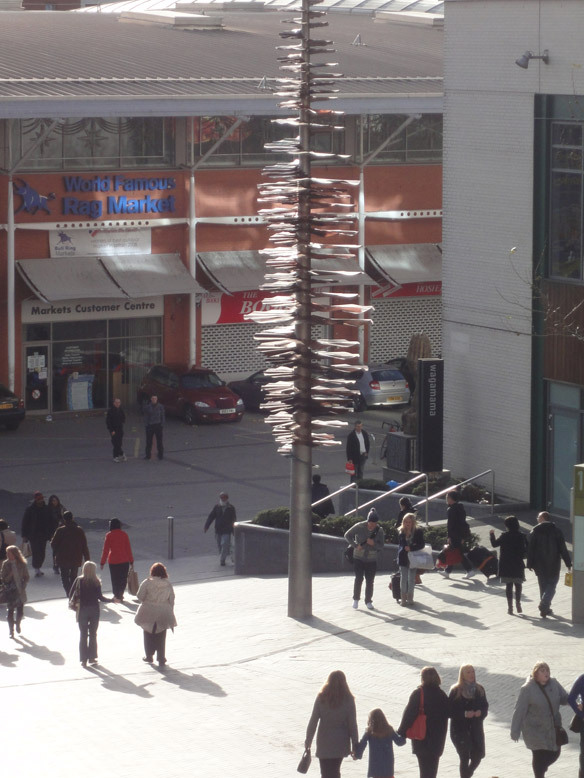 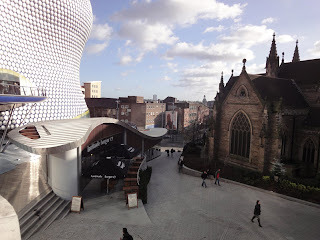 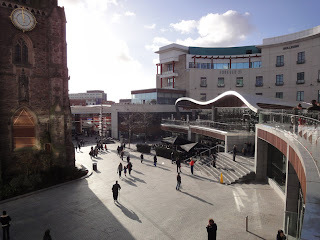 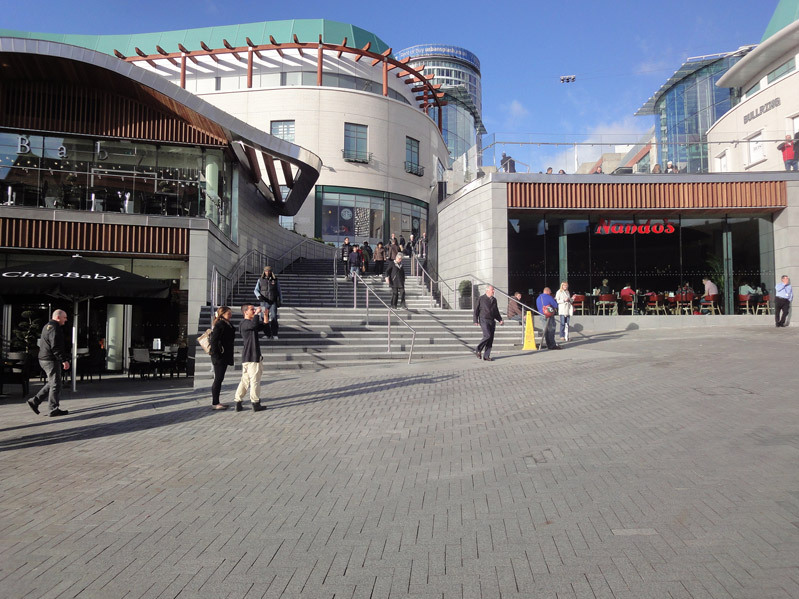 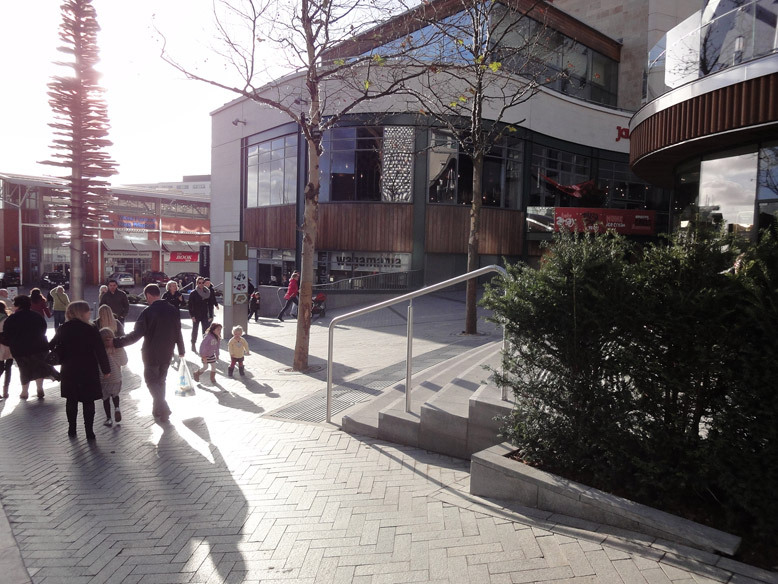 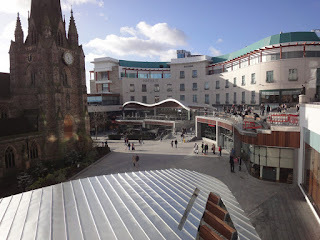 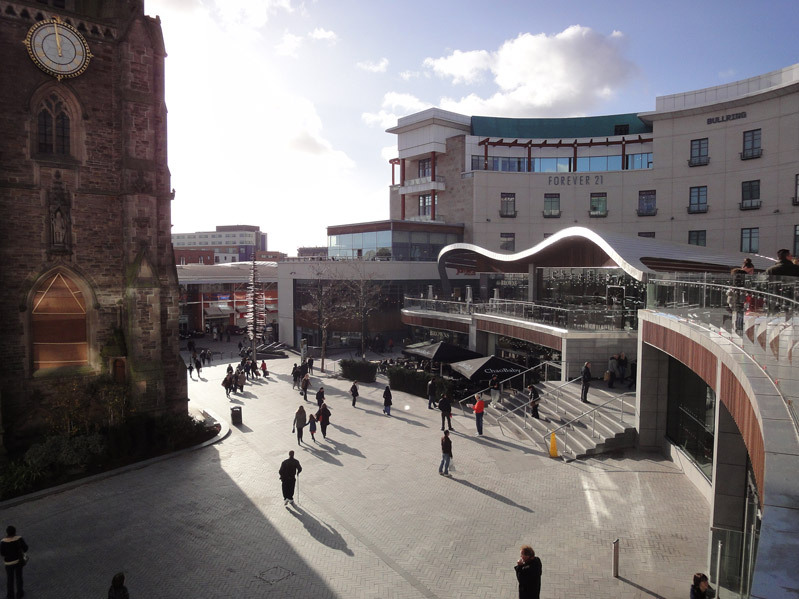 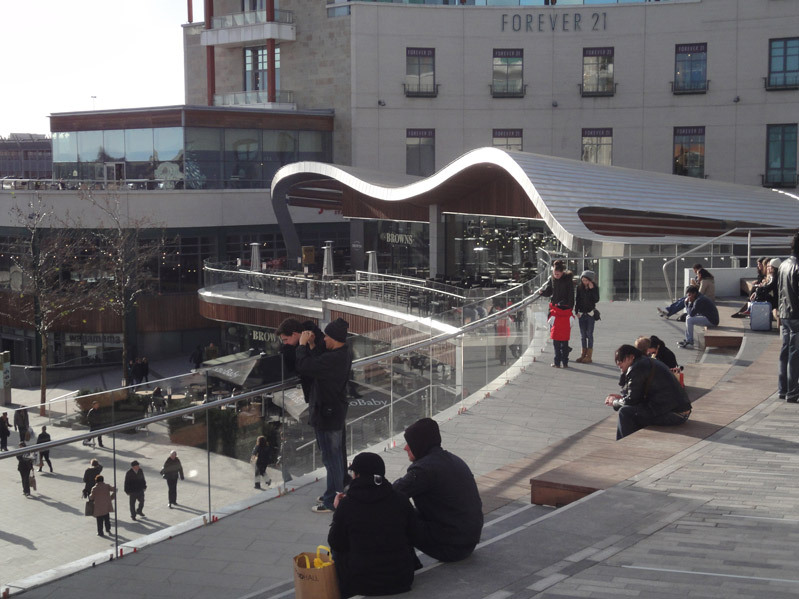 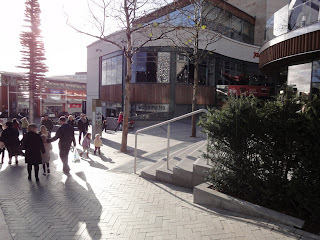 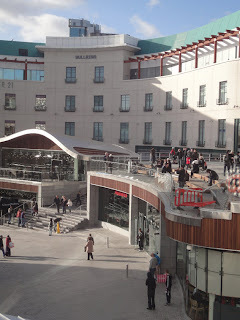 The development has also allowed Nando’s and Pizza Hut to extend their trading space by 54% and 20% respectively, http://www.financial-news.co.uk/3578/2011/11/birmingham-bullring-sees-further-growth/ The scheme has brought 105 new permanent jobs for local people. 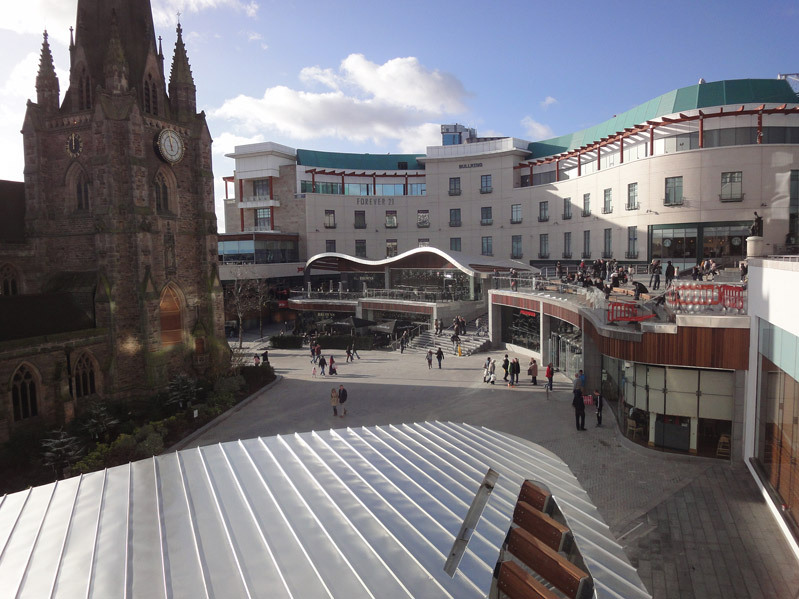 The development increases the appeal of the Bullring, now in it's 8th year after opening in 2003, which has over 160 shops and 28 restaurants and cafes including flagship Forever 21 which was the brand's first European location. 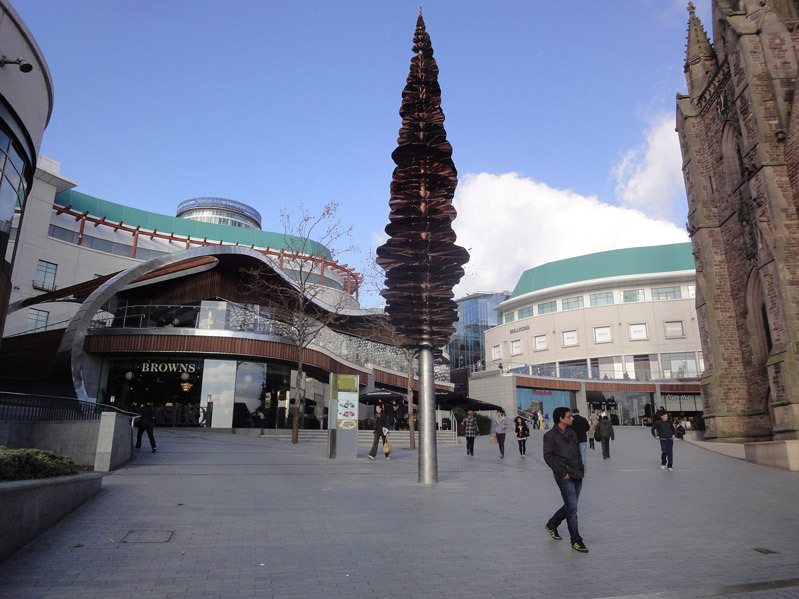 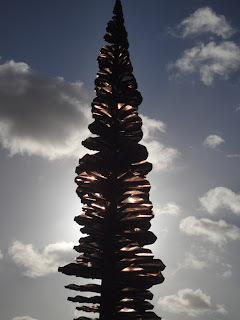 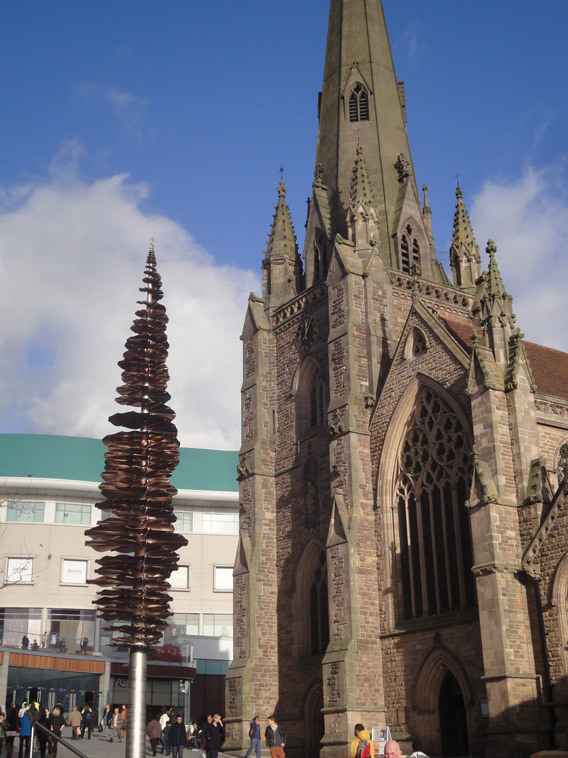 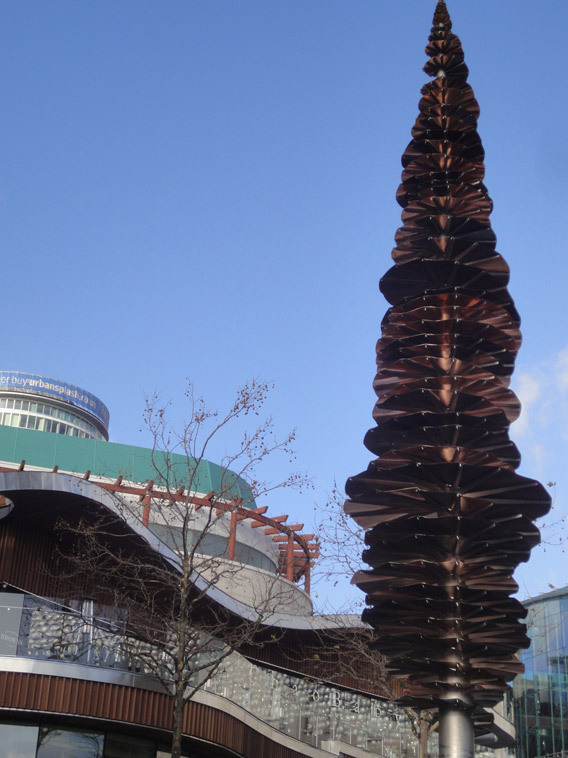 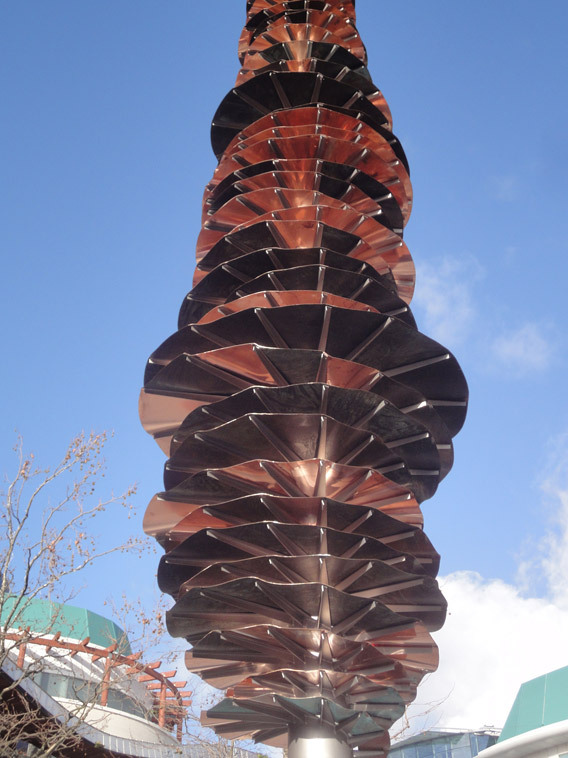 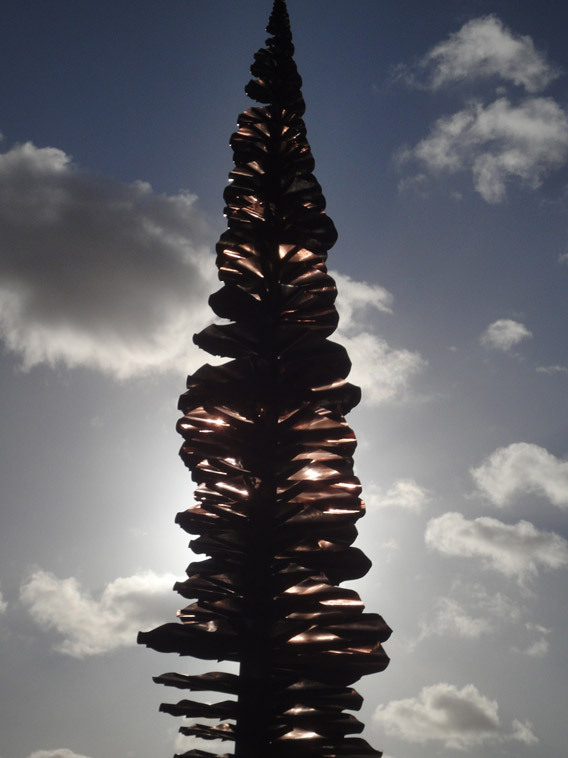 The completion of the development also saw the unveiling of the artwork 'Timbre', Spinning spiceal surprise, by Wolfgang Buttress which was constructed from reclaimed copper from the relocated Spiral Café. 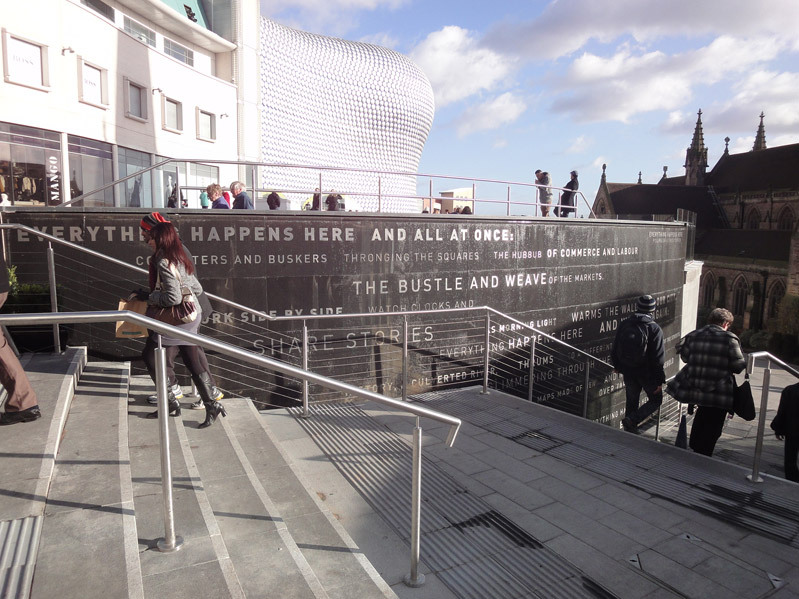 Also unveiled was a new water installation containing poetry co-written by two local artists. 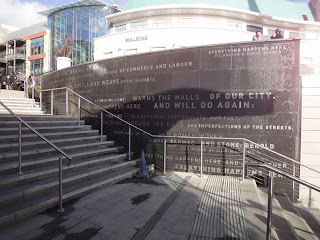 Simon Turner, a published page poet and Steve Camden (aka Polabear) a popular spoken word performer co-wrote the poem which is engraved on the granite stone of the water feature. 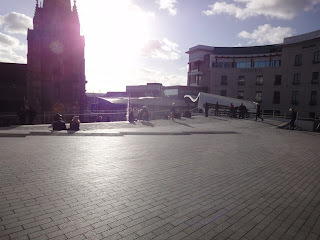 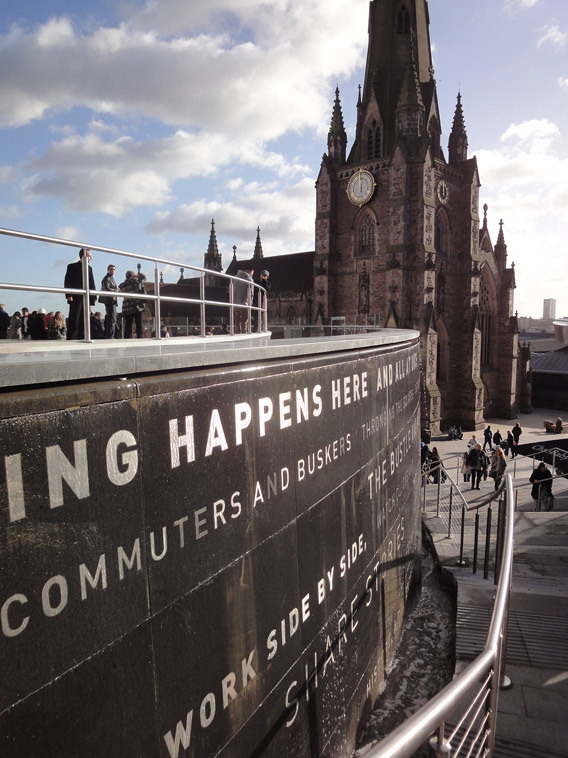 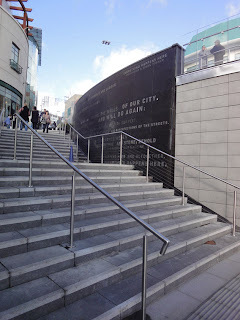 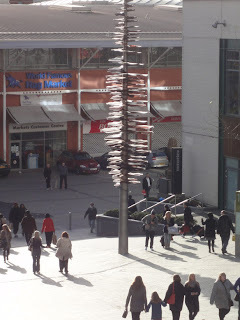 The poem takes inspiration from the character of the area and city and follows the brief set by the Bullring when it unveiled the development in 2010 for local poets to create a verse or poem, which symbolised the redevelopment and new phase of Spiceal Street, http://www.spaghettigazetti.com/2011/11/local-poets-create-poem-for-spiceal.html. 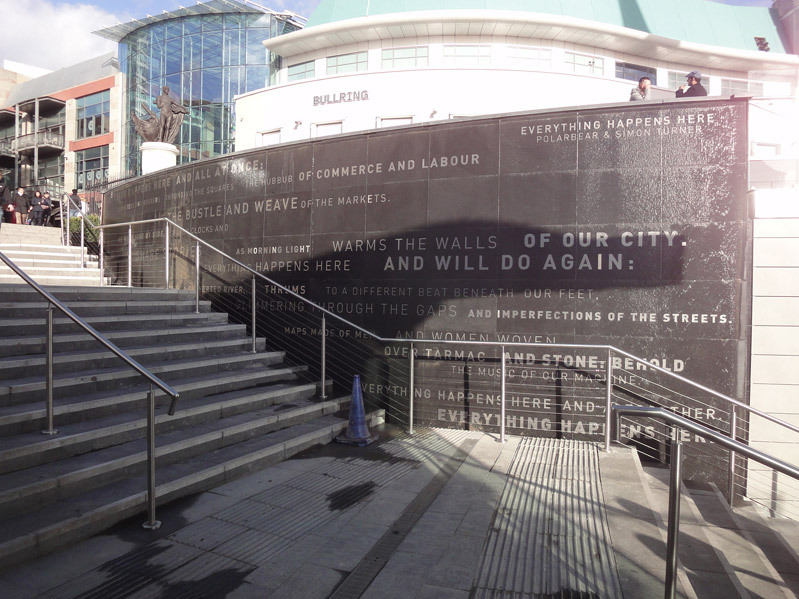 Photos showing the completed development from the 27th November are shown below showing the new water feature which includes poetry and the Timbre artwork.